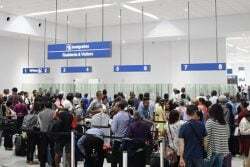 An unmarked bag containing ten parcels of cocaine was yesterday afternoon found at the Cheddi Jagan International Airport, Timehri and it is believed that it was to be placed on a flight bound for New York. Up to press time last evening it was not clear if any arrests had been made. The cocaine that was found at the airport yesterday. 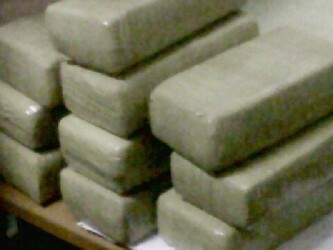 The cocaine which appears to be in two-pound parcels was wrapped in brown paper. Investigations are continuing.